Download the new AutoNotification here! 2 weeks ago AutoNotification brought you the option to add a Mark As Read button to your Gmail notifications. 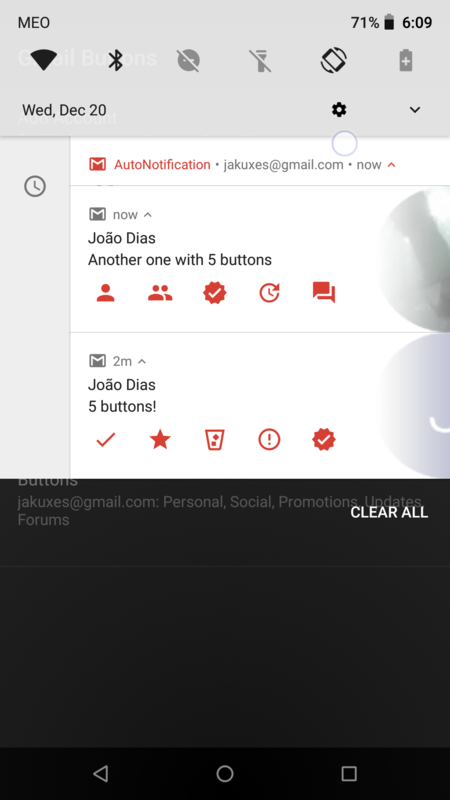 Now it’s taking it even further by allowing to fully customize the notifications. You can choose between 14 buttons and up to 5 at the same time! If you select more than 3 buttons (up to 5) it’ll look like this! All the icons are different so you can easily distinguish them. Your notifications will now also be grouped by email account so it’s easier to manage your notifications. Discuss this release in our G+ community. Testing Out Join on Google Home! AutoNotification Timeout: Android O feature for everyone! No Tasker needed – Block Persistent Notifications In Android Oreo! Join – Shared devices, remote call management and more!